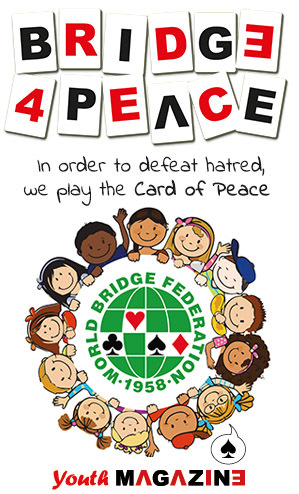 The bridge world is shaken by another big loss. Guido Ferraro suddenly passed away, at a rather young age, after a brief illness. 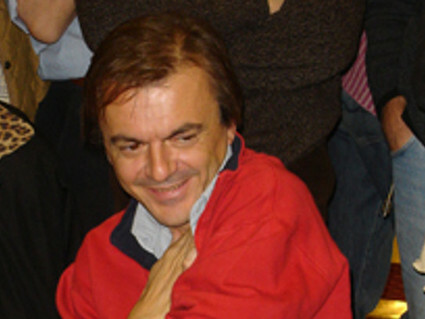 Guido was a prominent figure within Italian and World bridge, with an exceptional palmarès : winner of the Olympiads in Maastricht in 2000, of the Rosenblum in 2002, of the World Open Transnational in 2003 , of the European Open Teams Championship in 1999 and 2001, of the European Mixed Teams Championship in 2002 , of the European Champions’ Cup in 2002, 2011, 2012 and 2013, to which should be added an incredible number of victories in the Italian championships and in various international events. Guido was a member of both the WBF and EBL Appeals Committees and of the WBF Systems Committee. Appreciated and well-liked in all parts of the world, Guido leaves real sadness and a lasting impression on all those who knew him and were his friends. The WBF bows to his memory and shares his family’s and the Italian Federation’s grief. Guido Ferraro, one of Italy’s All Star bridge players died in Turin on 19th February 2014. Last week he was taken to hospital due to a heart attack. Since then he was in coma. The news is even more sad as Ferraro died on a rather young age: 55. Guido Ferraro was a member of Team Lavazza and represented his country Italy on numerous occasions. Ferraro was one of the most successful players of his time. The international bridge world will remember him als as a witty Vugraph commentator and as an excellent member of Appeal Committees. In his own country he served as a member of the board of the FIGB. We wish his wife Cinzi, with who Guido was married for 26 years, lots of strength in these difficult days. And we wish the same to Maria Teresa Lavazza and all the members of her team. Will I never see Guido Ferraro again? It seems impossible to believe, and even more difficult to describe. Guido was a very intelligent man, lively, always happy, talented in bridge, but mostly a great FRIEND, who left us too soon, really too soon. And this time I know it is not one of the many jokes he made in the 37 years we have been knowing each other. His personality and intuition were known in every corner of the world: every time I was with him, I thought of myself merely as a shadow, because of all he could get across. Our team, including Maria Teresa Lavazza, will feel an unbridgeable absence. Substituting Guido will be more than difficult: it will be impossible. Dear Cinzia, I understand the emptiness you feel, I do not know how to support you, because I cannot find a way to support myself: Guido will be missed by us all and I cannot think about how much you will miss him. A great man left us. Guido, our life will be more grey, sadder, more boring, a lot emptier and a lot less fun without you, but I know well that you – with your philosophy of life – would tell us to remember you with a smile, and we will try to do that even though it will be difficult. Guido: you are in heaven, elegantly mocking all saints, as you have always done, and after hugging your dear mum and dad you will ask a passer-by where you can find a golf course.